Ferocious Dreugh is a common Neutral creature card. It is part of the Core Set. 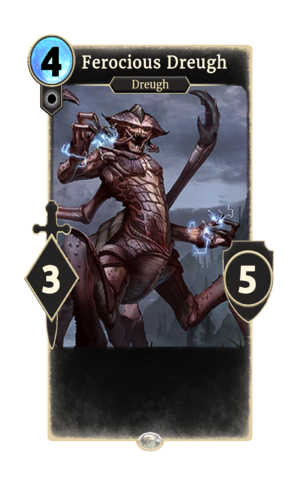 Dreugh are a race of crab-people who have appeared in Daggerfall, Morrowind, Oblivion, and ESO. This page was last modified on 24 September 2018, at 22:45.